What inspired you to create your cookbook? And how did you decide on crackers? Where do you get your inspiration for new recipes? 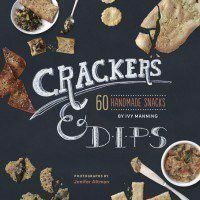 For this book, I went through the inventory of my favorite crackers from days of old–vegetable thins, peanut butter sandwich crackers, saltines, and even Girl Scout Thin Mints, which are just chocolate grahams covered in minty chocolate. I worked on them until they tasted better than the packaged ones, which wasn’t actually that hard. Then I explored gluten free crackers. 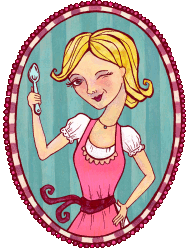 I teach at Bob’s Red Mill here in Portland, so I’m familiar with alternative grains and bean flours. Those ingredients are very inspiring because each has a unique flavor and texture, which can’t be said for just plain white flour. As for the dips, I wanted to steer away from the typical American creamy, gloppy calorie bomb dips. You know, the ones that start with “Take 2 blocks of cream cheese.” So I developed recipes with a more global outlook. There’s an edamame-wasabi spread that’s basically “eda-mmus,” a spicy North African red lentil spread, Mexican black bean dip with chorizo, and a warm crab spread I learned to make while visiting Trieste, Italy. 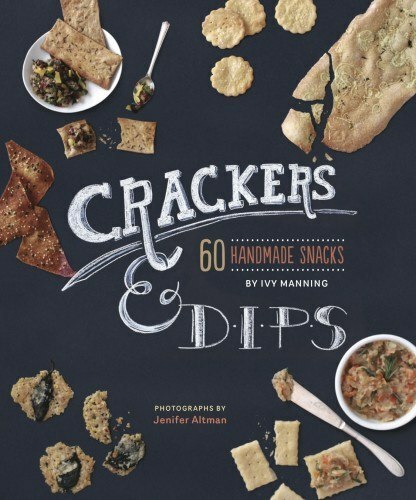 If you could give one tip for making a delectable cracker, what would it be? Get rolling pin guides so you can easily roll the dough out to an even thinness. I bought mine off of Amazon. They’re called “roll right baking strips.” They are flat plastic pieces that look like unmarked rulers. They come in 1/16, 1/8, and 1/4-inch thicknesses. You just put them on either side of the dough, roll, and they guide you to an even thinness. That’s key when you’re making crackers, otherwise some will burn while others don’t crisp up. Is there a particular chip or cracker that you think is usually better to just buy? No. I really don’t. They are stale from the get go, and once you’ve had homemade crackers and learn how easy it is, there’s just no reason to buy them! My warm Caramelized Onion and Bacon Jam served with Semolina Cracker Sheets. BIG Superbowl hit! I also gave jars of it as Christmas gifts and had friends and family come back to me a week later jones-ing for more. Any advice for aspiring cookbook authors? Be really really in love with your topic, because you’re going to be living with it every waking moment for 3 to 12 months, and then when the book comes out you’ve got to promote it, which means you’re with it 24/7 again for a few months. I still make crackers and dips on a weekly basis, so I guess I chose well! I have a feeling I will LOVE LOVE LOVE this book. Thanks for introducing me to the book and the author! Great article.